Phase 2 Development of a interactive community based website led by Art | Sci director, Victoria Vesna and graduate student researcher, Estevan Carlos Benson. In collaboration with Brittany Butler, Director of Reach Nola Partner Initiatives and Ben Springate, Aceademic co-chair. What's New: $50,000 in August 2006 from The Center for Community Partnerships The Art | Sci Center, directed by Victoria Vesna and housed within the Department of Media Arts | Design in the UCLA School of Art and Architecture was recently awarded $50,000 in August 2006 by the Center for Community Partnerships in the UCLA Chancellor's Office. These funds will be used over two years to partner with local community members and the Media and Medicine Center for Communities to improve the quality of public education materials for depression and post-traumatic stress disorder especially for the predominantly African American survivors of Hurricane Katrina as well as for future disaster situations. 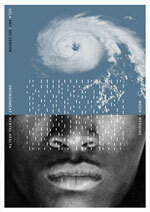 Click here to see the Katrina projects developed in the Design | Media Arts Class 154A, instructed by Henri Lucas.